A little over two million people reside in the state of New Mexico. As reported by Healthinsurance.org, there has been a mere “54,653 people enrolled in coverage through the New Mexico exchange during the 2017 open enrollment period” for health insurance. The number of insurers “offering individual market plans statewide” are limited to only four, but, the happy marketeers of the collapsing Obamacare program somehow maneuver language to make everything sound cheery and bright. For example, they conclude that having only four insurance exchanges for two million people is not dismally inadequate, it’s actually described as more “robust than those in many other states.” And, if a New Mexico constituent is concerned about the impending 80 percent premium increases, well, there’s no need to worry your pretty little head about that. In fact, in the upside down world of Obamacare, that 80 percent increase is actually good news, because “New Mexico’s current premiums are well below the national average.” Well, that may be true, but a New Mexico Obamacare premium, which is $366 per month — before the subsidy kicks in — is still going up as much as 80 percent, isn’t it? Those other 34 states using “federally facilitated exchanges” provide policies with an average monthly premium of $475 before the subsidy. Aren’t most of those going up too? Of course. That hope could be short lived, even with a dead Obamacare carcass looming in the backdrop. Some Senate Republicans remain opposed to the latest revision of the new Senate health bill. Senator Susan Collins, R-Maine, isn’t happy about Medicaid cuts and removing the Planned Parenthood subsidy. Senator Rand Paul, R-Kentucky is another Republican who says he still can’t support the new plan. In the meantime, rising premiums are the rule in New Mexico, all in the midst of Washington trying to make sense of subsidies, exchanges, pre-existing conditions, Medicaid payouts and so much more. 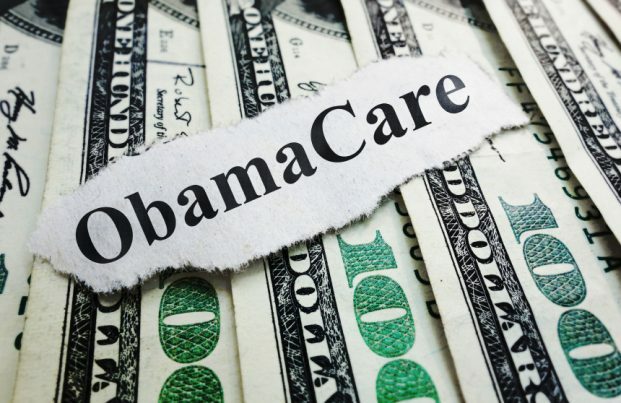 The idea of the U.S. government running and mandating personal health insurance by giving subsidies to buy it, and then initiating income tax penalties if you refused, never set too well with freedom loving citizens, even though they were “promised” by then President Obama that if you liked your doctor and your plan you could simply keep them. Remember that? And then, once the lobbyists of the death care industry, pharmaceutical and insurance industries paid billions to get the bill written and passed, there was that small problem about the roll out of the website. Hmmm. This was just the beginning of a bad system now ready to crash and burn. Imagine how the nation’s health would improve if all those billions of dollars had been invested in organic food, water without fluoride, heavy metals or pesticides or one of the most powerful antioxidant substances in the world, Hawaiian Astaxanthin. But the sick care industry would much rather that you are injected with your yearly flu shot and endure whatever procedure they want to pay for on the failing Obamacare list. Let’s just say no, shall we?